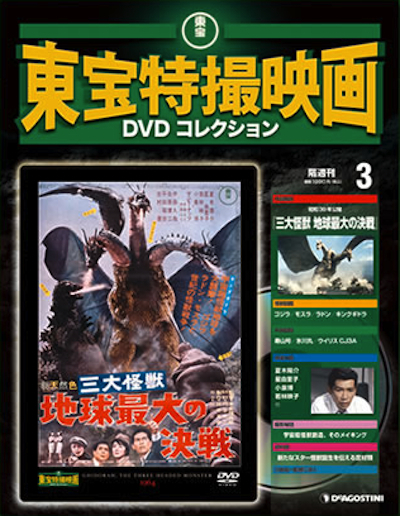 The Good, the Bad, and Godzilla 続・夕陽の呉爾羅: TOHO VISUAL EFFECTS DVD COLLECTION New Bargain-Priced Magazine & DVD series! Thanks for this marvelous info! I'd like to order these as they're released. Can you steer me to a bookseller in the U.S. that would sell them? Thanks! Thanks for the info on those book stores and the website link! I appreciate it! Hey August, I just found your blog. I saw your book recently in San Francisco's Japantown and loved it. I especially appreciated the in-depth discussions of the plots of the films, not just the effects. 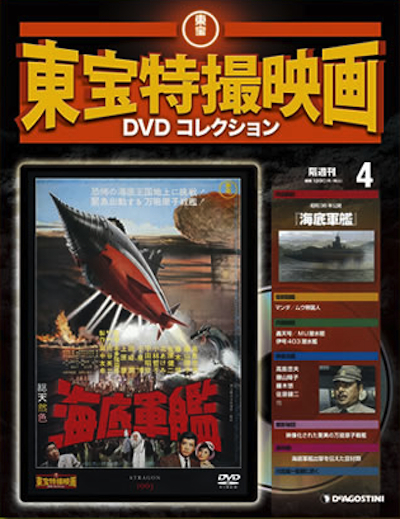 I don't know whether it was intentional on Toho's part, or just by-product of your writing, but it seemed like all the Kaiju movies all kind of fit together into a cohesive storytelling universe, even the ones that didn't get swallowed up by the Godzilla series. Speaking of Godzilla, what do you think of William Tsutsui's Godzilla on my mind? 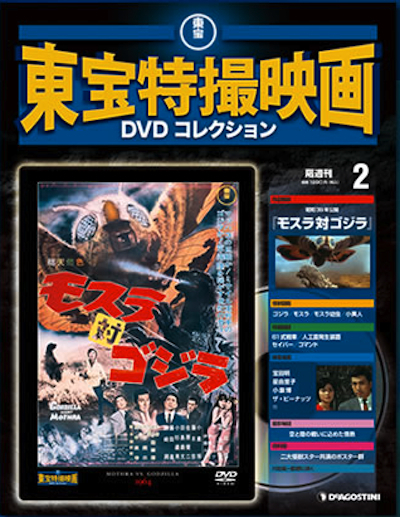 It's the first Kaiju book I ever saw, and I liked it quite a bit. What's your take on it? Hi August, I'm pretty sure the correct name is De Agostini. forgive me for my ignorance but how does that website work? i would very much like to pick these up but it would be dificult for me to go to a physical store. is there a website i can order them from? thanks these look awesome! While it's well-written and researched, I didn't care for Godzilla On My Mind, but I did enjoy the follow-up, In Godzilla's Footsteps much more. Thanks for the compliments on my book, it's appreciated. 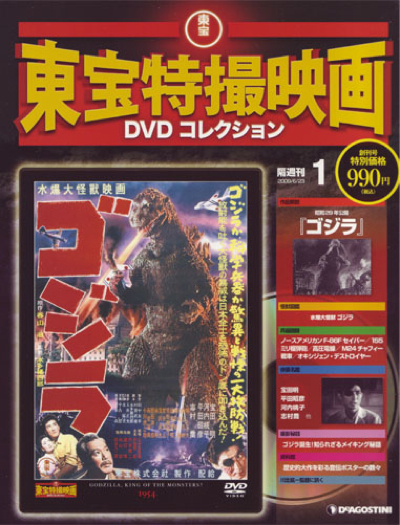 If you pull back, you can see that all of the post-war Japanese fantasy films and television shows are all connected to one another. 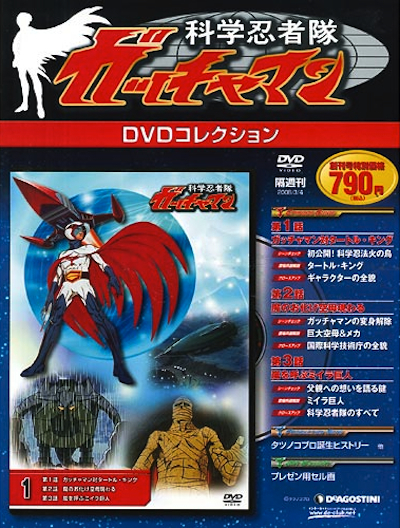 All roads lead back to Eiji Tsuburaya. I posted a listing of outlets in the US, check it out!